me and amber have screen printed the covers of these lovely notebooks in limited editions of 500 each. The black print onto natural card has a contemporary graphic quality - we love it! 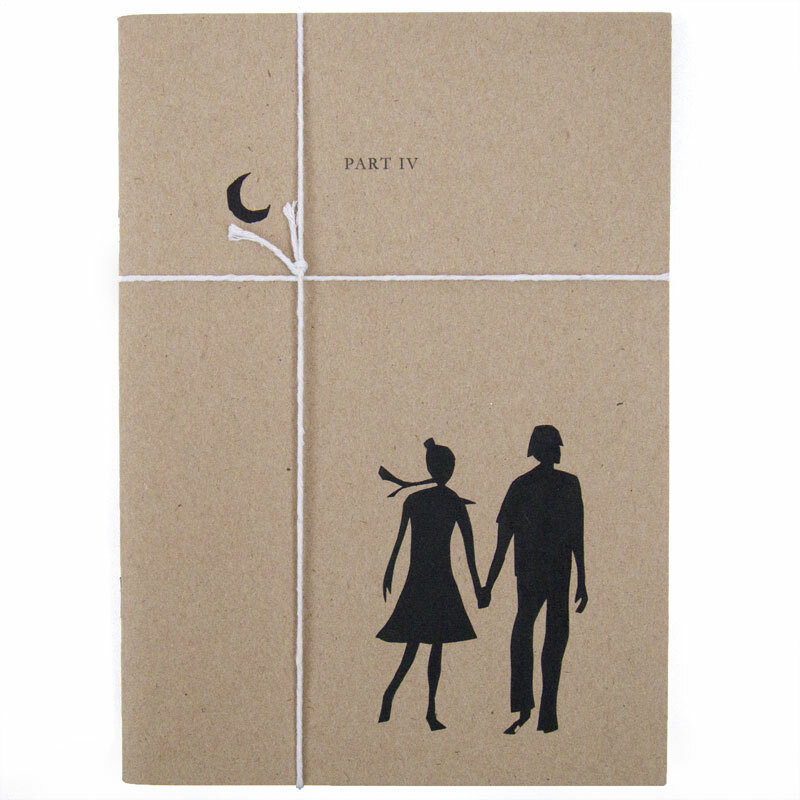 A stylised couple are strolling in the moonlight. 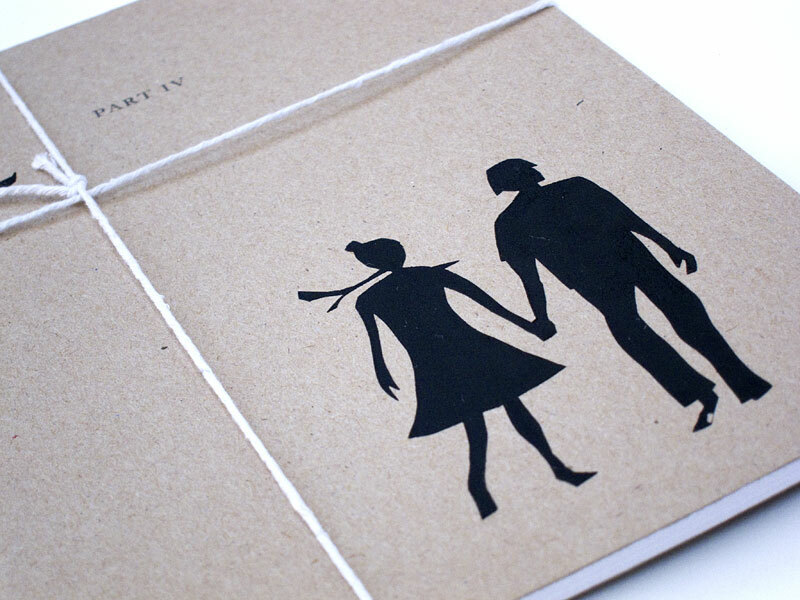 "PART IV" is printed in small and elegant text. Each notebook is stamped and hand numbered, and is made from 100% recycled paper with blank pages. Size is approx. 15 x 21cm.